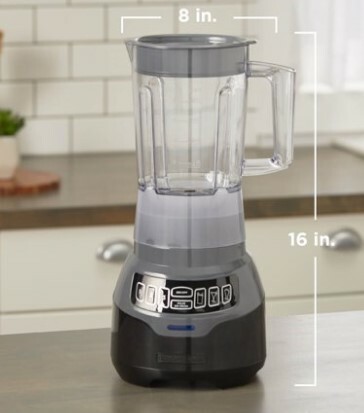 Walmart has Black + Decker 800W Digital Blender for $14.99 (Reg $39.99). Choose free in-store pick up if available near you; otherwise, score free 2-day shipping on any eligible $35+ order. With 800W of peak power^, this blender makes quick work of ice and frozen fruits in all your favorite blended drinks. It’s easy to operate the blending using three-speed settings and a pulse/ice crush function. The durable plastic jar holds up to 40 oz./5 cups, and features a PerfectPour spout to help prevent spills.